Team Building Activity ! Outdoor Games ! Gaming in Corprate Events ! The outdoor activity is the perfect way to encourage the employees while reducing the level of tension and stress. These days, most of the companies are offering the outdoor team building activities so you can choose the best company for arranging the outdoor activities. The agency offers the wide range of the team building activities such as arrow tag, build a boat, corporate survivor, green racing, drumming up a team and others. Every kind of the outdoor activities is designed by the risk-free challenges with fun. 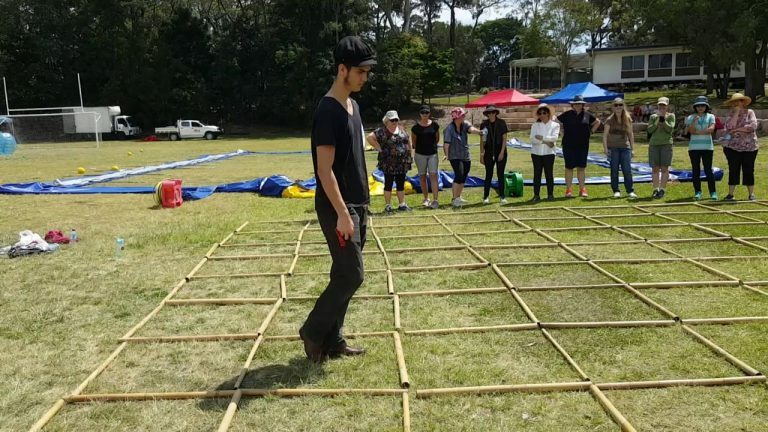 One of the effective ways everyone can pass on the tricks for the team building, boosting the overall morale, and production of the outdoor team building event. The professional outdoor event arranging company has great experience in planning the challenging outdoor team building event. Before starting with the outdoor activities you should know what the activity takes to lead the team. In the activity you can learn simple leadership skill such as good communication by the dialogue, creating the expectation for the team, incorporating the personality within the work and others. Here you can check out top four outdoor team building activities. Forget the old training activities and deadline on the fun journey of the team building activities with the amazing race activities. On this program, there is an activity where collaboration and pace will win. With the help of this activity, anyone can test your capacities and set out the energising voyage. The teams that finish complete given assignment correctly and they will win the game. The treasure hunt is one type of the outdoor team building activities and it helps to improve the problem-solving capacity, communication skill, leadership, and others. The treasure hunt helps in sharpening as well as learning the tactics of handling the team effectively. In the treasure hunt, the teams want to find hidden treasure by proper coordination and clues within the limited time. The acid walk is real-time activity and it helps to develop synchronize and cooperation through the team members. In this game, the team partner needs to walk closely with other partner and then reach the final point within the specific time. If the team member walks together in the proper coordination with their partner and they will reach the destination easily. The raft building is one of the popular and exciting outdoor team building activities. In this kind of game, the team members are closely worked with each other to make the strong raft. The raft has made in a professional manner from the provided materials. The raft wants to sail with more than seven members. The company offer lot of the activities so you can choose the best outdoor event to improve your employee teamwork. The whole team members participate in the activity that improves communication skill. It is the excellent way to make the team members happy and away from the busy life.